A Cognac from the Grande Champagne area, 1st Cru (growth), born in the heart of the family vineyard established in the late nineteenth century by Samuel Beau, then managed by Paul Beau and today by his inheritor. A round Cognac with dominant notes of wood enhanced with peach, candal fragrance and dried flowers such as chamomile. 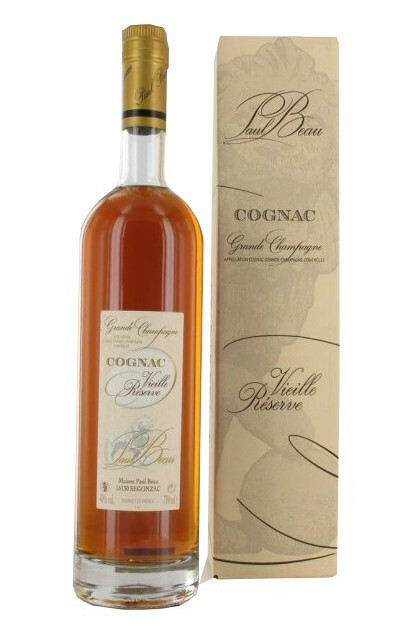 A Grande Champagne Cognac originating from the old reserves of the Beau family. A Grande Champagne Cognac, Premier Cru, born in the heart of the family’s vineyard, implanted at the end of the 19th century by Samuel Beau, then ran by Paul Beau and to this day by his children. A very round Cognac, flexible with dominant notes of wood embellished with fragrances of peaches, cedars, and dry flowers like camomile.